By Srithar Visuasam: WBA ‘regular’ super middleweight champion Anthony Mundine has officially relinquished his world title to the WBA only one day after defeating compatriot Sam Soliman at the Vodafone Arena in Melbourne, Australia. 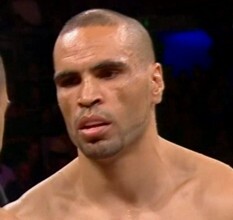 The move comes as little surprise as Mundine has repeatedly stated in the lead up to his bout with Soliman that this would most likely be the final time he will be defending his title. The only surprise may be the swiftness in his move to relinquish his belt.. After four successful defences over his 14 month reign, the two-time WBA super middleweight world champion Mundine is almost certain to venture to middleweight in a bid to win world titles in multiple divisions. It is likely that he will be rewarded with a significantly high ranking by the WBA should he head down this path. The ‘regular’ WBA super middleweight title has now been declared vacant and the WBA have accepted the application by Team Palle to sanction the bout between WBA’s no 1 and 4 contenders Mikkel Kessler and Dimitri Sartison for the vacant title on June 21. Within the acceptance letter released by the WBA, they have also mandated that the winner of this bout is to contest German Danilo Haussler within 120 days of their fight. In the event the bout between Kessler and Sartison is a draw, Kessler will fight Haussler within the 120 day timeframe. WBA ‘Super Champion’ Joe Calzaghe is yet to confirm his intentions of whether he will surrender his title. Therefore the WBA is set to continue with their two world champions within the super middleweight division. Next post: Wills, Kickett, Augustas Win At Gosford!